The organization has been operating on the Gold Coast since it was formed by interested local craftspeople in 1977. 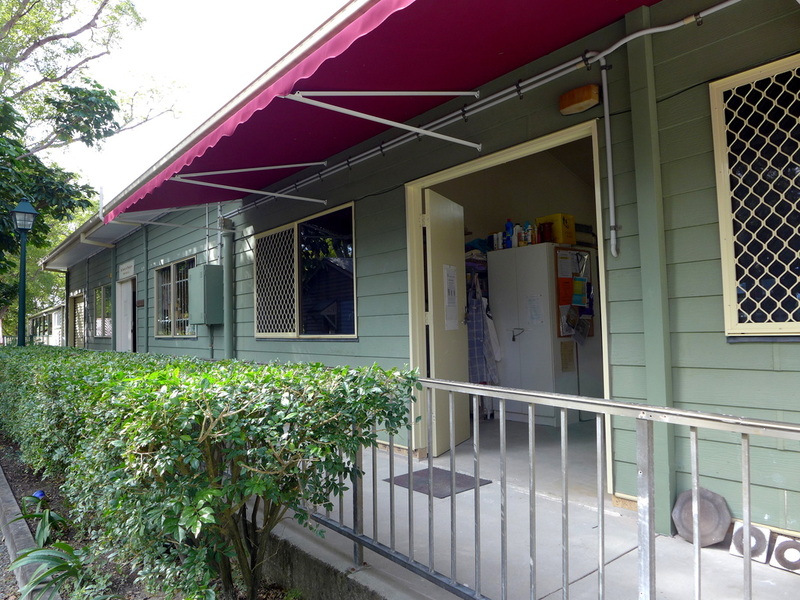 The Gold Coast City Council provided the derelict, original Benowa Primary School building for their use and enthusiastic volunteers soon had a workshop for members fitted out. Much of the equipment was make-do or home made and one of the kilns still in use was built by foundation President, Tom Wardell. Classes for both adults and children were soon filled with excited participants. The Society of Sculptors was also formed and shared the building. 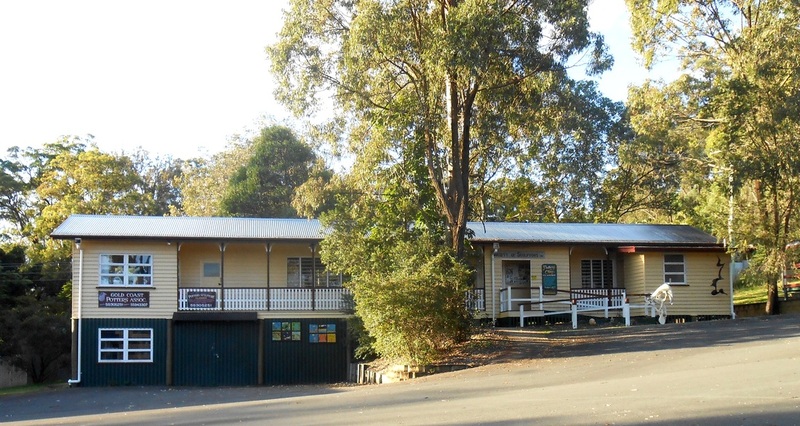 Interest grew and by 1990 with the expansion of the hinterland area, the then Albert Shire Council renovated an old, unused building at Mudgeeraba for the establishment of a second workshop. This also has been used by the Society of Sculptors. The rapid housing and development growth in the Gold Coast area has often meant that there are few buildings of any historical significance remaining. However, in 1992 the Gold Coast City Council moved the original Benowa Post Office to the Potters' Benowa site and a plan was drawn up for the area to be developed as a heritage precinct. The Post Office was renovated with the co-operation of TAFE College students. Due to the widening of Ashmore Rd. and the forced removal of the old school building and subsequent fire damage, 1997 saw the culmination of many years of planning with the building by the Gold Coast City Council of a new workshop to be shared by both the Gold Coast Potters' Association and Society of Sculptors. Both associations landscaped the area and soon members and classes began using the new workshop and outdoor sculpture garden. Later, volunteers once again were hard at work and soon two more small galleries were operating in the Old Post Office Precinct. The quality of teachers is monitored by the Association and many former students have established a reputation as professional potters. Ceramists of national standing regularly present workshops and lectures and group exhibitions by members have been presented at the Queensland Potters' Association Fusions Gallery in Brisbane. The Gold Coast Potters Association Inc. exists to promote pottery as a traditional craft and art form through teaching, demonstrations and exhibitions, for students, hobbyists, professionals and the wider community. During the late 1800s a Sugar Mill operated at Benowa processing sugar grown on the Nerang River flats and the area was also used for dairying. An important part of any developing area was the Post Office. They were usually set up in a store or hotel which were often little more than small, bush cottages. The mail was brought from Brisbane on horseback once a week. Later in 1873 Cobb & Co. ran coaches to the area three times a week. This cottage was built in about 1915 and for several years was used to accommodate farm workers. In 1938 the James family bought the property and made extensions and alterations. In 1939 Mrs James became Post Mistress and the Benowa Post Office was established in her residence. A section of the verandah was enclosed for this purpose. When Mrs James died in 1972 the Post Office was closed but the building continued as a private residence for several years before being moved to the site it now occupies. In 1992 the building was restored by students from the Gold Coast TAFE and in 1994 officially opened by the Mayor of the Gold Coast, Alderman Lex Bell. The Society of Sculptors used the building from 1992 - 1997 when the Gold Coast Potters’ Assoc. Inc. assumed control. The Old Post Office Gallery opened in October 1997, exhibiting for sale works by current members. 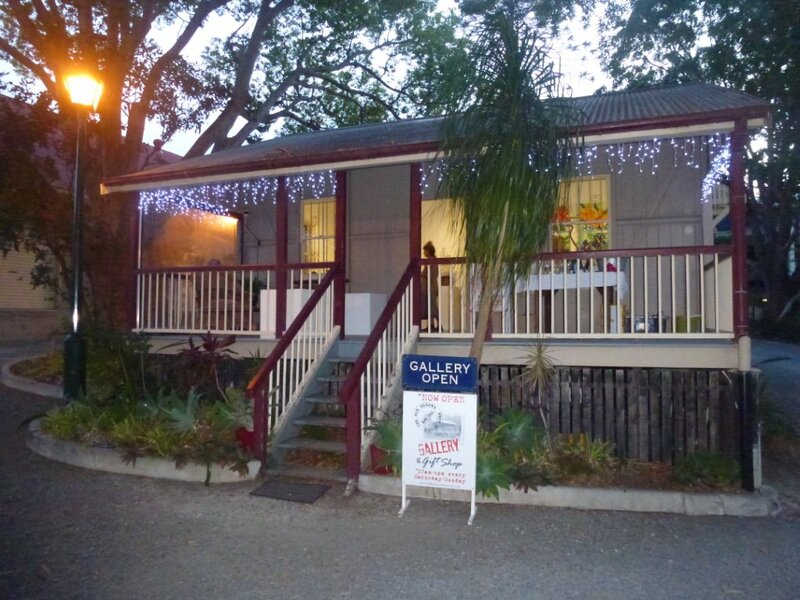 The gallery has been restored to provide a wonderful exhibition space for the annual Gold Coast Potters' Members' Exhibition, open days and other associated activities throughout the year.